You can serve this cocktail in a chilled martini glass|! 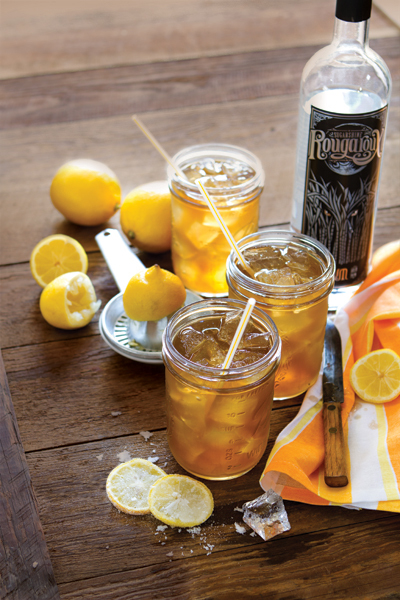 !| in a Collin’s glass on the rocks or in a mason jar for a rustic feel. Mix Rougaroux with lemon juice and tea syrup. Serve with sugar-coated lemon wheel. Brew tea bag in water for 5 minutes. Remove tea bag and add sugar. Stir until all is dissolved and let cool.